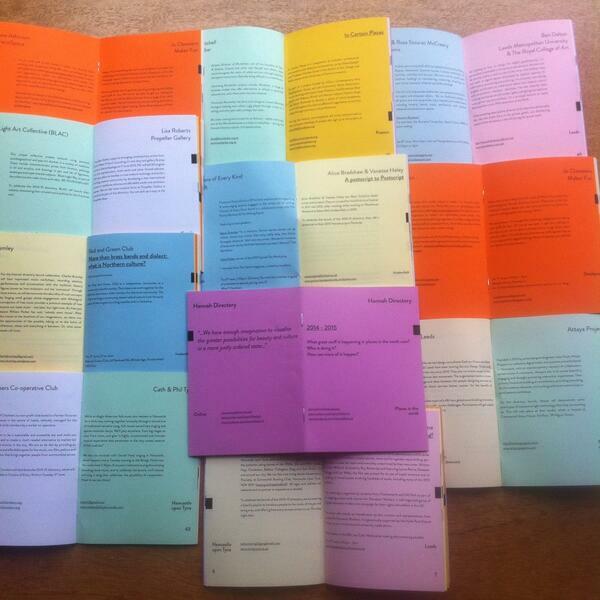 The Spence Watson Archive Project is taking part in the Hannah Festival (3-8 June 2014). To celebrate the launch of the Hannah Festival (3-8 June 2014) The Spence Watson Archive Project will preview some of the work that has been produced during the project prior to them being presented on the website. (live late June 2014). 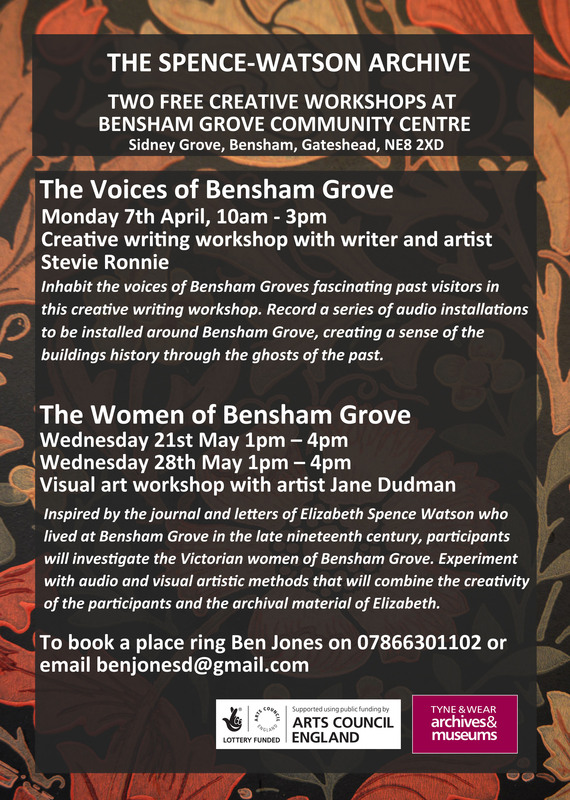 As part of the Spence Watson project I am organising two free workshops and performances at Bensham Grove Community Centre run by artists Stevie Ronnie and Jane Dudman. These workshops are part of the Arts Council funded digital arts and heritage project, ‘The Spence-Watson Archive’, I am currently undertaking with Tyne & Wear Archive and Bensham Grove. 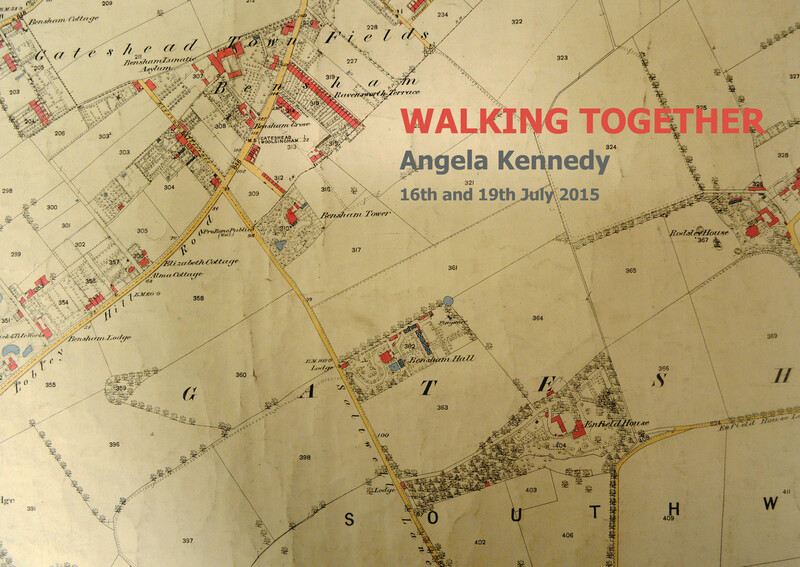 The project aims to investigate the history of the building the community centre is housed in, concentrating on the archival material of the Spence-Watson family, and through this develop community based participatory art projects and workshops to understand ideas concerning space, place and community. 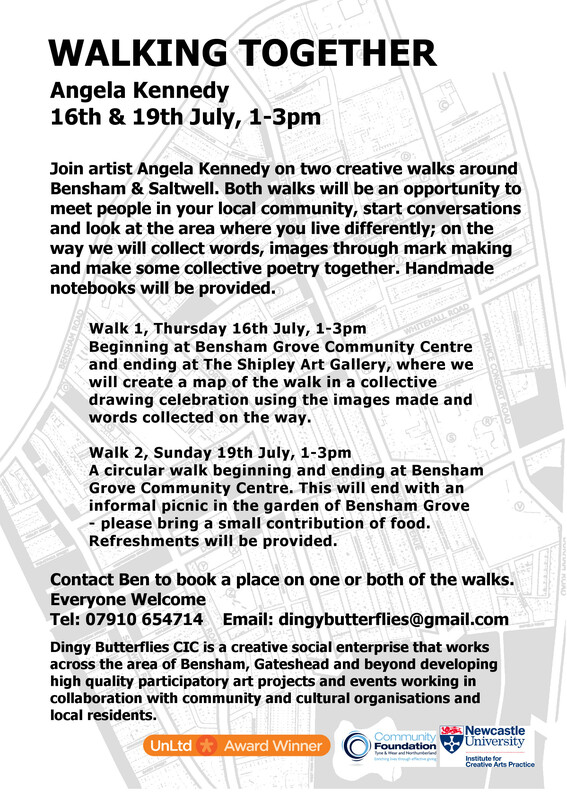 Two other workshops and performances as part of the project involve working with musician and actor Pete Ross with local Bensham writers group, Scribblers, and artist Ben Jeans Houghton with Kelvin Grove Primary School.